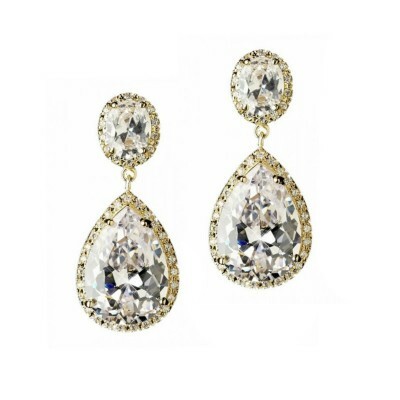 A best-selling design that's perfect as a bridal earring or a special event earring Provides a stunning finishing touch for all style of dresses Timeless and classic, this teardrop shaped earring will never go out of style Features sparkling AAA-Cubic Zirconia (di.. 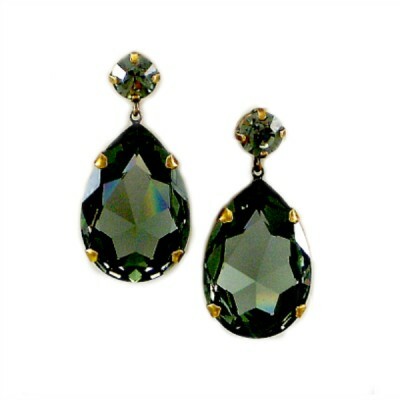 This is a super-sparkly, boldly designed special occasion earring that you can wear to your wedding, black tie ball, cocktail party or date night! 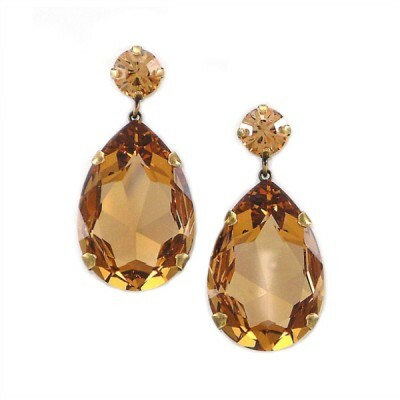 Composed of premium AAA-Grade Cubic Zirconia stones (premium diamond simulants) these are crafted into a unique clustered arrangem.. 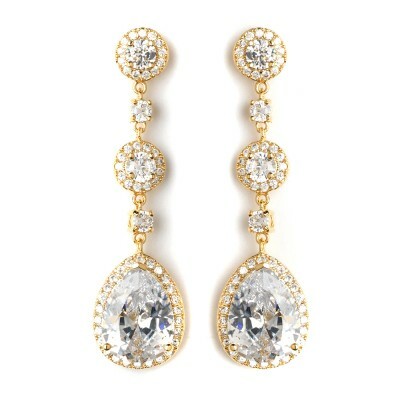 Statement bridal earrings will upgrade your bridal look in an instant! For brides looking to create a glamourous or red carpet style outfit, statement bridal earrings are the answer. Our range of statement bridal earrings promises to bring the wow-factor to your bridal outfit, or any special occasion ensemble. 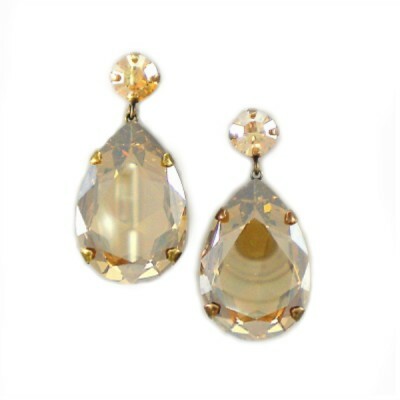 Because we specialise in designs that are timeless and versatile, you can be assured of wearing your favourite statement bridal earrings many times after the wedding day passes. 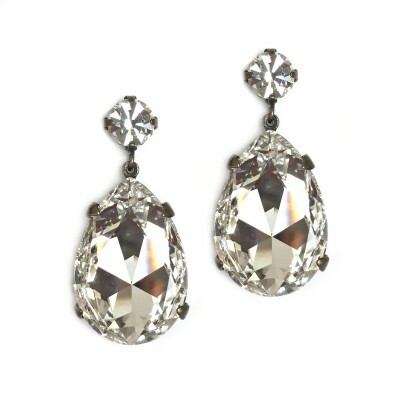 Featuring premium materials such as Swarovski Crystal and AAA-Grade Cubic Zirconia, our collection of statement bridal earrings will dazzle and enhance your look, guaranteed. 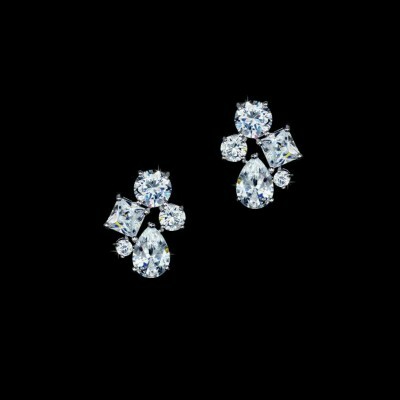 We recommend matching any pair of statement bridal earrings to a coordinating bridal bracelet or matching bridal headpiece from our range. 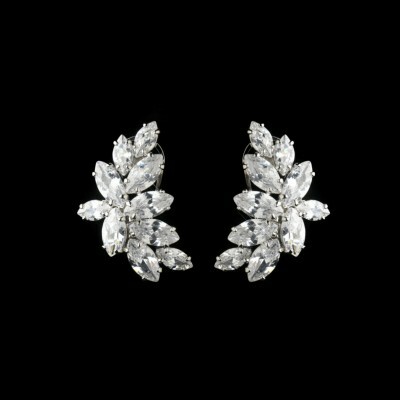 Start browsing our statement bridal earrings now, and contact us if you need any styling assistance!